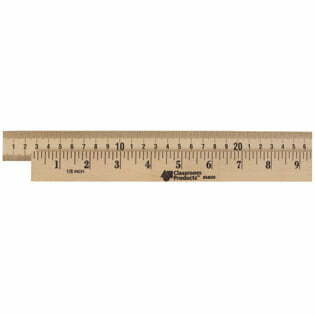 Students can compare U.S. customary and metric scales using these clear-coated Wooden Meter Sticks with easy-to-read black markings. U.S. customary side features inches in 1/8″ increments. Metric side features both millimeters and centimeters.